At first glance, Wineth.net, a no-nonsense windows-focused app for the (recreational) mining of Etherum, checks all the boxes. People seem to like it, it is available in the Windows 10 store and it has earned overwhelmingly positive reactions from those who downloaded it. It is also extremely simple and straightforward to use. Still, some people actually bothered to take a closer look at the source code and they discovered that the app is nothing more than a wrapper pulled over Genoil’s Ethminer. So, what exactly are we dealing with here? It looks like Wineth’s developers are not trying to hide the fact that their Windows ETH miner is in fact based on Ethminer. On their Source page, they are quite upfront about it. They even encourage their visitors to donate to the creators of the original software. The source itself can be downloaded and examined, and it too makes it pretty clear what we are looking at here. What exactly does Wineth accomplish though and how does it do it? Wineth’s goal is simple: it allows beginners – who might find the setting up of “conventional” ETH mining software somewhat intimidating – to mine ETH with their GPUs, directly off their PCs, by completing a simple installation and by ticking a few options. Indeed: using Wineth is that simple. Windows 7 and Windows 8.1 users can fetch the installation kit directly off the Wineth.net homepage, while Windows 10 users can grab it from the app store, as said above. Once installed, Wineth treats its users to a very simple graphical interface. The interface offers information on the GPUs located by the software (and deemed usable for mining), on the status of the mining process, as well as on the hash rate. According to Wineth, those who run their Windows miners for the first time, will have to leave it running for at least 6 hours, before they get an accurate hash rate reading. As far as settings are concerned, users can opt to have the miner running only when their computer is idle (Wineth will begin mining when the computer has been idle for 10 minutes), to have it working its magic in the background (in which case, the software makes limited use of the available hardware resources) or to fire it up upon startup. That’s about it. In case you were wondering: Wineth is configured by default for nanopool, and this setting – at least in the currently available beta version – cannot be altered. To get the miner going, users have to provide an ETH address where the proceeds of the activity can be sent, and optionally, an email address, where they can receive updates. Most of the problems users encountered with the software were related to the spotting and identification of graphics chips. In some cases, Wineth support cooked up a fix on the go and delivered it to the users who had turned to them for help. In this regard, it is certainly worth noting that while the miner supports cards with CUDA and OpenCL, it will not mix them in the sense that it will not mine some cards with CUDA and some with OpenCL. In such cases, OpenCL enjoys priority. Or, you can use any dedicated GPU (video card) with at least 4 GB of memory. A desktop computer may have up to 6 graphic cards installed, and of course, the many of them you have, the more efficient your computer will be at mining. Given the business model used, there are no reasons why you should not…what business model are we talking about? The software is available for free, but the developer/provider takes a 1% cut from one’s mining proceeds. According to some, this is way too steep, given the value provided. Still, it is a fair and transparent deal. According to some, the 1% cut is taken from mining time and not the actual ETH earnings. According to this theory, for every 100 minutes of mining, the software mines for the provider exclusively, for one minute. Whether the deal is a good one, is certainly debatable. It is not a scam though, so trust is not an issue here. Given that we’re talking about a legitimate operation here, red flags are not really part of the equation. There are some question marks on the other hand though. The most prominent of these concerns is the actual value that Wineth delivers over what Ethminer has already brought to the table. The identity of the people running the service is secret too, although in this case, that does not really mean much. What’s a little less savory is that the name of the registrant of the Wineth.net domain is kept private as well. The registrant’s address is 96, Mowat Avenue, Toronto, Ontario, M4K 3K1, Canada. While the overwhelming majority of user feedback regarding the service is indeed positive, some people think it is nothing more than a cheap money grab, as the value delivered through the interface and the simplified operation does not justify the developer’s 1% cut. Some people have apparently grassed up Wineth’s developers to Genoil, too. Wineth is certainly a useful tool for cryptocurrency beginners. It is simple to install and to set, and within a few clicks, one can be on his/her way, mining Ethereum. Even its most ardent supporters will admit though that the app is not for serious miners and hash rates. Does the value that Wineth delivers justify the 1% developer cut? This is the question all users should be asking themselves. If they deem it worthwhile, then they will most likely find it rewarding, in a recreational sort of way, of course. What are your thoughts regarding Wineth? Share them with us by commenting below this review! 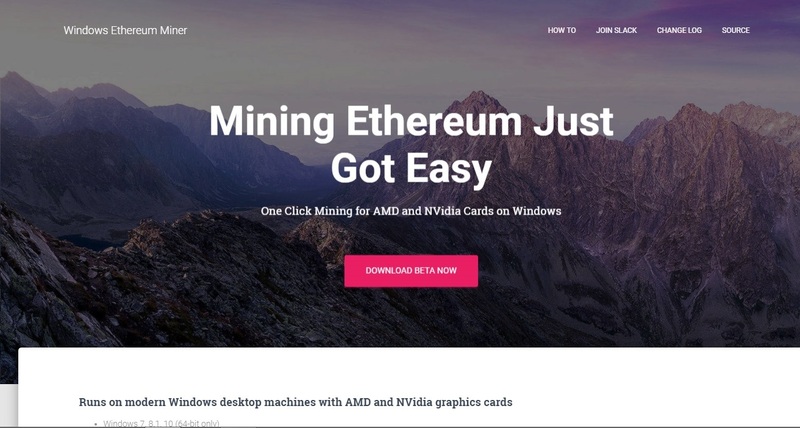 Feel free to visit our complete Ethereum Mining Guide for more information on how to mine Ethereum and related cryptocurrencies. I just started using Wineth today and after several hours, I found my Win 10 machine rebooting, from a Windows’ update. Wineth began automatically, but did not pick up, from where it left off. So, instead of having an estimated 10-14 shares, I was starting back, at zero! My tablet (other computer) uses a bitcoin mining program that keeps track of where it is. So, nothing gets lost – even when the power goes off, for days! Thus, tomorrow, I’m going to search, for a more-reliable piece of Ethereum mining software. Clearly, costly Wineth is not it! Hi William! Check out our Ethereum mining guide.